There are many different types of personal injuries stemming from a variety of causal factors. One of the most common causes of injury in Ontario is motor vehicle accidents, which includes car, truck and motorcycle accidents as well as recreational vehicles such as snowmobiles and ATVs. Pedestrian and bicycle accidents, which typically result from collisions with cars and trucks, account for approximately 20 per cent of serious injuries and fatalities on Canadian roads. Every day, the Personal Injury Lawyers of Ontario (ILO) law group offers expert legal advice and a wealth of experience in obtaining compensation for the many Hamilton area residents that have suffered as a result of these accidents. Many Hamilton residents were recently stunned when learning of a Hamilton school bus driver who was driving while intoxicated. The passengers consisted of four children and a teacher who suspected that the driver was inebriated and notified the owners of the bus, Attridge Transportation. The driver was instructed to pull over and await the arrival of police. It was reported that he failed two breathalyser tests and was well over twice the legal drinking limit. Although the incidence of drinking and driving has declined somewhat in Ontario and most of Canada, driving while intoxicated continues to be a problem. On one spring weekend in 2013, a Hamilton constable reported eight drunk driving charges, resulting in a number of serious injuries and numerous damaged vehicles. For most of us, the injury to a child is most disturbing. Nine year old Dean Saumur suffered catastrophic brain injury when he was hit by a car at a Hamilton crosswalk on his way to school. The driver’s insurer settled out of court with the Saumur family. At a later trial, the City of Hamilton and crossing guard, Luba Antoniak were held equally negligent; Ms. Antoniak was alleged to have left her post early. Key issues assessed at trial were whether Ms. Antoniak left her post before her shift was over, how fast the driver was going at the time and whether or not the child looked both ways before crossing the street. The Court awarded Saumur and his mother damages of 7.85 Million plus interest and a portion of legal costs. 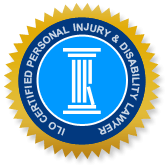 When individuals suffer severe and permanent injuries as a result of a car accident, they often find themselves overwhelmed by frequent hospital or doctor visits, difficulties meeting work and home obligations, and often, limited mobility and ongoing pain. When injuries were caused by negligence, we face the additional challenge of making a claim and having our injuries and suffering assessed in order to determine a fair compensation value. The law team at Hamilton Injury Lawyers of Ontario (ILO) specializes in insurance accident claims and personal injury cases resulting from motor vehicle accidents, slips and falls, and other incidents of negligence that cause serious and permanent injury. Initial consultation is free and will help you determine whether you have a viable claim. Visit us online or call us toll free for a free consultation on your case.